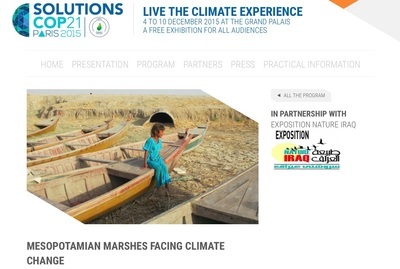 At the occasion of the 21st Conference of Parties (COP) of the United Nations Framework Convention on Climate Change (UNFCCC), Nature Iraq in collaboration with the Iraqi Minister of Health and Environment participated in Solutions COP21 multi-actor side event at the Grand Palais with the presentation of an original exhibition on the Mesopotamian Marshes of Iraq. 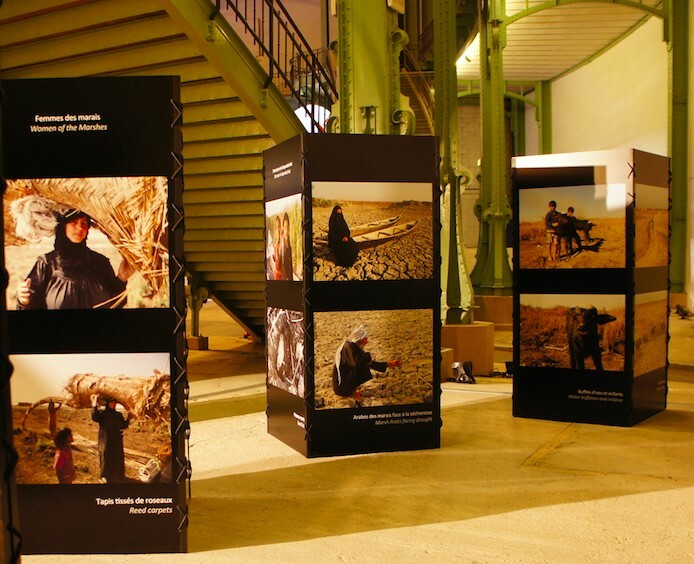 This photographic exhibition outlined the history of the Marshes, and explained the restoration effort of the post-Saddam era. The main focus was the current situation, triggered by the unprecedented drought of 2015 in the context of climate change. This exhibition was supported by the French Embassy in Baghdad and the Iraqi Embassy in Paris. Iraqi photograph as well as Foreign photographs participated to this exhibition. The strengthening of Nature Iraq’s voice as an advocate of improved integrated water management in Iraq and of the use of shared water resources as vehicles regional cooperation. An official visit of the exhibition was organized for members of the Iraqi delegation to COP21 as well as French and Middle Eastern official representatives. 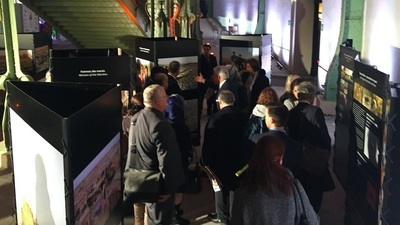 On December 9, 2016, the Iraqi Minister of Health and Environment, Dr. Adela Hussein Hammoud, as well as the Deputy Minister of Environment, Dr. Jassim Al-Falahy, the Iraqi Ambassador to Iraq, Dr. Fareed Yasseen and the Head of Water affairs in the French Minister of Environment visited the Grand Palais event. Members of the Kuwaiti, Lebanese, and Iranian delegations, UNESCO representatives also partook in the visit. It was an occasion to exchange on the current situations and possible avenues for the future. Overall, the Solutions COP21 event gathered, over the course of seven days, more than 50,000 participants and visitors from a wide range of backgrounds: policymakers, non-governmental organizations, educational institutions, the private sector, and the general public. This diversity and volume allowed Nature Iraq to reach a broad audience. 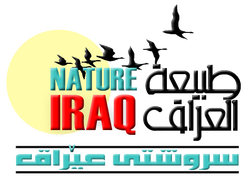 Nature Iraq was also part of the official delegation. This permits to support government officials on environmental issues (water and biodiversity) in the conference center and to exchange on further cooperative actions in the region. In 2016, the exhibition will be displayed in the Arabic Institut and in the Jardin du Luxembourg, two important place located in Paris center. That will permit to strengthen communication about the endangered largest wetland in the Middle East. Furthermore, Nature Iraq, in collaboration with the Arabic Institut and the Iraqi Embassy in Paris, is organizing a debate about drought in Iraq the 28th of April to exchange on an urgent and major issue to be addressed in Iraq. To introduce the event, the documentary film “Eden at twilight” by Scott Chasserot and Bob Tollast, made in October 2015 in the Marshes, will be presented. This film gives testimonies of Marshes’ inhabitants about the impact of the drought on their livelihood and on the Environment.